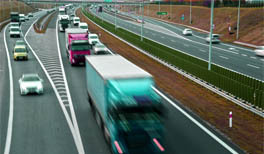 Managing a large fleet of vehicles can be quite challenging without the right GPS tracker. We offer standardised and customised vehicle tracking solutions to clients who manage large vehicle fleets. In an industry where there are numerous service providers offering different solutions, it is best to have a partner that understands exactly what you are looking for. Depending on your GPS tracking needs, we offer a variety of different tracking products with different focuses. The fact that our operation is small in terms of scale also puts us in a better position to deliver on our promise in a personal way. As previously noted, the vehicle tracking industry is composed of a huge variety of companies including large and old ones. However, it is important to note that although our operation is relatively small, it is structured to offer top of the range GPS trackers and tracking solutions. In our experience, the larger the company does not guarantee better services as they also have to deal with a larger group of clients. Choosing us, over such service providers guarantees that you can enjoy a list of services accompanied with a personalised touch. Additionally, our small scale operation incurs lower costs, this means that we can afford to charge lower prices on all our products including any GPS tracking device you may be looking for. To ensure that we comprehensively cater to client needs, all solutions are designed and created in house. This puts us in a position where we can be able to create tailor made solutions taking into consideration all the needs and requirements of each client. As such, you can be sure that the GPS tracking device in use will provide the necessary tracking data as per your specific needs.